There are many ideas discussed in these forums. Most are not practical. I'm as guilty as the next guy for proposing wacky ideas. Some of these discussions are good for education, but most are not very good for helping a person achieve a final goal of energy independence (well, at least not directly). 1. Photovoltaics - Should make up the core of electricity generation done in the off grid setting. Most regions in the U.S. see sufficient solar insolation to make this a viable alternative. 2. Wind Turbines - A viable option only where average wind speeds are particularly high. There are very few regions that qualify. 3. Small Scale Hydro - Only a handful of very lucky individuals are in a position to see appreciable power generation by this method. 4. Lead Acid Storage Batteries - The most cost effective alternative for electricity storage. 5. Solar Thermal - Great for water heating. Heat can be stored in the form of heated water to provide heating applications. Direct air heating can be accomplished as well. 6. Biomass Gasification - For heating applications including water heating, water processing, space heating, and cooking. May also be used for power generation by fueling internal combustion engines when other means are insufficient (as might occur during a period of inclement weather when solar flux is low). This is the most practical technology for displacing fossil fuels otherwise used to fuel internal combustion engines (including automobiles). 7. Biogas - A messy way to provide a relatively low yield of fuel gas. Ostensibly, the process provides useful fertilizer. I don't consider it to be inherently impractical, but I do consider (6) to be preferable. Use composting for fertilizer (if desired). It makes sense under some conditions, but most people don't have sufficient resources to do this in an effective way. 8. Biomass Furnace - For heating applications. Pretty basic. 9. Thermal Mass - For heating applications. Might be a "rocket mass heater" or a store of heated water. These can be used for water heating or space heating purposes. There are many other technologies, but these are pretty much the only practical alternatives available for an individual to implement today. Perhaps I missed a few. If you think so, then feel free to chime in. However, expect me to provide my opinions on the matter in my characteristic clinical manner. To anyone seriously considering the prospect of going off grid or to improve upon an existing off grid energy system, I suggest restricting your considerations to these options and considering the optimal configuration based on the resources at hand. I agree with your assessment of practical alternative energy sources. The only depressing thing with your assessment is that although PV and then small wind remain the most practical resources, neither are particularly practical for the bulk of the people in the world that truly need them. They are technologies for the fairly affluent to unplug from the grid and even if the overall costs level towards grid parity they will remain only available to those with a good chunk of capital. I know though the majority of the real work is in designing systems that absolutely minimize energy consumption, and from that lens PV and wind can be practical. Still I do my dreaming about impractical systems in hopes that there may be more accessible simpler DIY solutions down the road. If I was to pick one bone with your assesment I'd suggest that solar thermal (namely passive solar thermal) should be perhaps as high as #2 on your list. Small wind is also probably even more niche than #3, large towers are always required to get good production and economies of scale doesn't kick in until 100KW+ size. Wacky ideas and experiments often lead to innovations. It's the dreamers, crazy inventors, fiddlers in this and that who often inspire the engineers. But to each their own path. My father never took a risk, while I live life by exploring and experimenting. It's whatever suits your personality. An example that comes to mind is the old TV show Star Trek. Automatic doors, motion sensing lights, talking computer, handheld electronic pads for signing off on orders or reading books, verbal dictation to the computer (captain's log), large visual screens, assorted ship sensors, heat detectors and temperature readers, medical scanners, and more. All these were wacky dreams. Now they are reality. Yes, taking risks and the road less travelled is not the safest way. If one needs the best odds for success, then experimenting with unproven ideas is not for you. But I find that people who experiment and invent have much more interesting stories to tell about their lives. Nick Raaum wrote: I agree with your assessment of practical alternative energy sources. The only depressing thing with your assessment is that although PV and then small wind remain the most practical resources, neither are particularly practical for the bulk of the people in the world that truly need them. They are technologies for the fairly affluent to unplug from the grid and even if the overall costs level towards grid parity they will remain only available to those with a good chunk of capital. Hi Nick. I agree with you here as I often do. Note that I didn't actually place these in any particular order... but, since you mention it, I too see promise in solar thermal systems. I like how you mentioned that minimizing energy usage is the real ticket. I totally agree. I believe we can get by on a small fraction of the energy we use today by simply changing the current paradigm that depends on it. Unfortunately, no meaningful change will start from the top. We have to do it ourselves. Su Ba wrote: Wacky ideas and experiments often lead to innovations. It's the dreamers, crazy inventors, fiddlers in this and that who often inspire the engineers. But to each their own path. My father never took a risk, while I live life by exploring and experimenting. It's whatever suits your personality. True! Brainstorming and tinkering is a great way to get a firm grasp on underlying principles, and I've got more than my fair share of wacky ideas, . However, note that my post is there only to emphasize that, today, these are pretty much the only shovel ready technologies available to the prospective off gridder for achieving energy independence. Also, while I did not note this in the original post, a lot of creative thinking can be put to use in finding ways to optimize the use of these more practical technologies. A lot of my recent thinking on this subject has been along these lines. #10. Solar cooling. A thermodynamic cycle that takes input solar energy and uses it to create a cold working fluid. The cold working fluid can then be used to (a) cool an insulated box -- a refrigerator, (b) cool air that is circulated through a living space, (c) make ice or (d) act as a dehumidifier to pull water out of the air. If you are thinking that this is a genius idea, you would be right, because it was Albert Einstein who was granted the patent on it. John Elliott wrote: #10. Solar cooling. A thermodynamic cycle that takes input solar energy and uses it to create a cold working fluid. The cold working fluid can then be used to (a) cool an insulated box -- a refrigerator, (b) cool air that is circulated through a living space, (c) make ice or (d) act as a dehumidifier to pull water out of the air. Thanks John. I almost added the absorption (and adsorption) cooling cycle to the list, but I know of no cost effective systems on the market. A company in Germany (sortech.de) is doing some amazing things in this arena. I'm actually tinkering with a small lithium bromide absorption system right now. A recent family tragedy put that on a back burner, but I'll resume the project shortly. Until these achieve further development, then powering an efficient vapor compression cycle with photovoltaics is the more cost effective way to use solar energy for cooling. Marcos, I think we have to wait for the next big energy crunch. Then all the tinkerers like you and I will get the project off the back burner and get it to work. It is an idea that is still biding its time. John Elliott wrote: Marcos, I think we have to wait for the next big energy crunch. Then all the tinkerers like you and I will get the project off the back burner and get it to work. It is an idea that is still biding its time. Yep... necessity is the mother of invention. I would be a lot more motivated should energy prices triple or more. BTW, the absorption system I am working on is designed specifically to be heated by a small biomass gasifier furnace. The higher temperatures provided by the furnace also raises the temperature at which the heat is rejected, and this makes it easier to put the heat to use. The idea there is to provide cooling at a constant low rate with quite literally most of the heat remaining at the condenser of the unit at about 150F (saturated steam) for heating applications. One interesting use for this heat is to dry an open desiccant (one not confined to the vacuum) that can be used to dry the air and lessen the latent heat load (essentially increasing the cooling effect by using the heat twice). Silica gel can be regenerated by blowing heated air through it. The heat at the condenser can also be used for water heating and even vacuum water distillation. The system can also be easily configured for space heating. I won't withhold information on this project, so if you're interested in specifics, then ask away... although, I don't have much to share yet. This "tinkering" sure gets expensive, doesn't it? Also, silica gel can be regenerated with solar heated air at surprisingly low temperatures. Drying the air in a hot humid environment can be sufficient, and this is a lot simpler than devising a solar absorption air conditioning system. If the air is dried sufficiently, then personal spot cooling can be provided with a small swamp cooler. Using PV to power an electric clothes dryer?...only a U.S. citizen would do this, . About using the structure itself as a thermal mass, this could be included in (9). However, I have purposefully restricted the scope here to technologies that can be readily adopted by the average U.S. citizen who is looking to unplug. Unfortunately, it's difficult for people to implement this approach as it generally requires a purpose-built home. On conservation, I mentioned it in the paragraph just before the list. I agree that it is the most important single consideration. Still, providing NO additional heat beyond solar for space heating in a cold climate is very impressive. Please discuss the dimensions of the structure, materials of construction, average duration of winter, average temperature during winter, and average temperature inside the structure during winter. Is there any provision made during the summer months to reduce solar gain? Marcos Buenijo wrote: Using PV to power an electric clothes dryer?...only a U.S. citizen would do this, . Yes, that's exactly where I read about it. Marcos Buenijo wrote: Still, providing NO additional heat beyond solar for space heating in a cold climate is very impressive. Please discuss the dimensions of the structure, materials of construction, average duration of winter, average temperature during winter, and average temperature inside the structure during winter. Is there any provision made during the summer months to reduce solar gain? Well, we're in a very dry sunny desert at high altitude, only 32 degrees north, so it's one of the best places for solar heating. Our biggest building is, um, I don't have the dimensions on the tip of my tongue, but the best heated rooms happen to be the ones that are 12 or 14 feet deep (ie South to north). I think through mid-December the night-time minimums in the good rooms are around 16C, which is very fine if you wear a sweater and socks; in January the night-time mins go down to 14, and if there's a cloudy week, down to 12, which starts to feel uncomfortable even with warm clothes and a hat, but that never lasts more than a week. The daytimes are always more. The walls are low tech rammed earth, 2 feet thick on the ground floor and 1.5 feet on the upstairs. The windows are terrible, leaky, with visible daylight around the frames in some places. The building is oriented 15 degrees east of south because it was originally intended mainly for daytime use though half of it is now residential instead. I think if the building had been due south it would be a degree or two better, and if the windows were half-decent it could add two or three degrees C for sure. We attach plastic greenhouses on the south side of our houses in October and roll them back up out of the way in April, so that helps prevent summer overheating. Also, the thick thermal massy structure is great for preventing overheating. It is noticeably refreshingly cool in our corridors (north of the rooms) in summer; you can open the door to the corridor and the exterior window to help keep the south rooms cool. The best rooms have glazing over less than 50% of the south wall, and then are inside the greenhouse for the winter. We have a few rooms with basically 100% glazing on the south wall, that are almost useless because if the sun is out they are annoyingly hot, in both summer and winter. So we are gradually rebuilding those rooms with more wall on the south side, and reducing the window space. Some we are replacing with a sort of low tech phony trombe wall that works well for us. The rooms with 100% glazing on the south have a gorgeous view, and are nice on a cloudy day, or in the early mornings. Overglazing is a risk in solar design. For us it was a learning mistake. Sounds nice Rebecca, can you post some pictures? Hi Duane. This configuration might be covered with (4) and (6). That is, using a wood gas engine system for powering laundry while also charging the battery. Throw in (9) by heating water off the engine system while it's running and this could be a very efficient set up. In fact, there is so much heat thrown off the engine system during operation that it can easily cover all clothes drying needs and water heating that might be desired for washing. Sure, it would take some work to set it up properly. do you any info on the wood gas engine systems? Duane, here is a thread I started and still maintain for education on wood gas engine systems. Note the links I provide as these are great resources. 5. 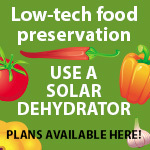 Solar Thermal - May also be used for direct cooking purposes. This is something that can be done today easily. 9. Thermal Mass - May also be used for cooling purposes. A few examples include using a thermal mass inside freezers and refrigerators to reduce electricity consumption and reduce battery discharge, and it can be used to moderate temperature extremes in a home. 10. 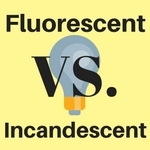 Desiccants for air drying - Drying the air can be used in lieu of air conditioning. These desiccants are regenerated by heat including direct solar thermal or heat from a biomass furnace. For example, solar heated air could be used to regenerated a bed of silica gel during the day, and during the evening air from outside can be blown into the home through the silica gel bed. This will provide both ventilation and air drying. While there are no cost effective systems available on the market (not that I know of), I do consider this technology to be fundamentally simple enough for an individual to come up with something reasonably effective without spending too much time and money on development. Actually, this is not that far-fetched. My wife and I have had a totally electric off-grid home for many years, including the clothes dryer and electric range with induction cooktop. We don't power everything with just solar and wind, although many days we do. Our system is more of what I would describe as a diesel/RE hybrid system that works to power our home much the same way as a hybrid diesel/electric car works. We dry clothes on the clothesline in the summer. In the winter, however, when it is -30F it is hard to dry clothes outside on the line because they tend to get somewhat rigid. And not practical to use a clothesline in the laundry room because of the amount of room it takes. So we use the electric clothes dryer in the winter. The beauty of the electric dryer is the fact that every bit of the energy put into it is recovered by filtering the exhaust air from it and venting it back into the house for supplemental heat and humidification in the winter. Can't do that with a gas dryer unless you want to end up in an elite group known as the "deceased". And most folks don't consider that factor when selecting gas appliances over electric. So while some may consider an off-grid electric clothes dryer to be "extravagant", it is completely doable - and actually much more efficient than gas. Chris Olson wrote: The beauty of the electric dryer is the fact that every bit of the energy put into it is recovered by filtering the exhaust air from it and venting it back into the house for supplemental heat and humidification in the winter. Can't do that with a gas dryer unless you want to end up in an elite group known as the "deceased". And most folks don't consider that factor when selecting gas appliances over electric. Funny, I was going to post a defense on electric clothes drying when used with proper load management ( and opportunity loading) in the off grid setting. I also found that 110/120v electric clothes dryers exist that are more efficient and less stressful on clothing, and these seem a good option in the off grid setting. Throw in the space heating (and humidification) during winter, and it's hard to argue against it. I am impressed with how a carefully designed and operated system can use opportunity loading and load management to harvest a great deal more energy from an off grid solar array than what would otherwise be possible. The clothes dryer is a good example. They are a high power appliance, but they do not generally use a large proportion of the total electricity consumption. If properly managed, a solar array can handle it. Funny, I was going to post a defense on electric clothes drying when used with proper load management ( and opportunity loading) in the off grid setting. Typically, what we do (because it's a high draw appliance) is that my wife will wash clothes in the morning and dry the clothes around solar noon in the winter on a sunny day. This gives the battery a little chance to "catch up" during the morning hours and uses the peak power from the panels to provide power for the dryer and other normal loads, and still (usually) continue to charge the battery. It works fine here. If we get a poor RE day and my wife wants to do laundry anyway, then we'll run the diesel generator on prime power, and provide a baseline power level (usually around 2.5 kVA, depending on how I set the Gen Support level for the day). The inverter provides the balance of the power required to meet loads, including the dryer. This takes that baseline 2.5 kVA load off the battery and RE system so it doesn't "sack" the battery out due to the heavy load on the system. No matter how you cut it, living off-grid is more expensive than living with society's infrastructure. So people who do not have the money or resources to live off-grid do not belong there in the first place - you won't last. The majority of people who have tried it, thinking it is the "ultimate" don't last one year. There is only one real valid reason to live off-grid 365 days a year and that is location - you can't get utility power to your place at any reasonable cost and if you want to live there you are on your own. You made mention of Einstein. CO2 is a natural refrigerant. The simplest fridge physics we have been able to make is by cut and join of pipe. This also includes the hydro turbine. Hot refrigerant is used to 100% pressure the water. Refrigerant heat of -30*C provides one bar of work force. At +50*C it provides 200 bar of force. Steam provides 200 bar of force at +600*C.
And do you have any problem with leaks? One of the big problems with CO2 as a working fluid is that you have big excursions in pressure to get the effect that you want. I'd hate to be nearby when 200 bars pops a leak. Steam at +600*C has 200 bar pressure. Refer to your local power station. CO2 at +50*C has 200 bar pressure. CO2 at -30*C has 1 bar pressure. "you have big excursions in pressure to get the effect that you want" And to which fluid or gas do you refer to which your claim of big excursions not occur? The most likely way I can become energy independent is by combining both PV (solar) and hydro power. My daily power consumption is approximately 30 kWh, but if I was to buy some new energy efficient appliances which I plan on doing, I could reduce that to around 15-20 kWh a day. Most of my usage occurs after the sun has gone down. I am currently looking for a rural property which has river frontage, where the property elevation is at least 20 meters above the river water level. So there will be a steep river bank down to the river, with a 20m fall. It shouldn't be too hard to find, in fact I've already short listed a few. The plan will be as follows. This will be an off-grid setup with no connection to the grid at all. When the sun is shining, there should be enough power from my 10kw array to easily cover my consumption. In most hours on most days, including during cloud, with such an oversized array there will be a large excess of power being generated. That excess solar power will be used to run my 3 pumps, which will pump 72,000 litres of water an hour from the river up into my tank/dam. The pumps will run continuously until there is no longer enough excess solar power being generated to power it (or the tank becomes full), at which point they will shutdown. At night time, when there is no solar power being generated, a valve opens on the tank/dam, and starts draining the tank/dam water back down the 20m head into the river, piped through my 2kw hydro electric generator. Using 1 inch pipe, 20m head, 500,000 litres of water, draining at approximately 9.84 litres/sec, the hydro electric generator will generate 1158 watts of power for approx 14 hours (assuming the tank/dam is completely full), in other words around 16.2 kilowatts of power, which should easily cover my night time power needs and keep my battery bank full. I could also look at some how detecting when the battery bank is full, and slow down or stopping the release of tank water until the battery bank reaches a level where it needs topping up again. Realistically I think the total cost to deploy something like this would exceed $100,000. The big cost will be in the tank/dam. There will also be maintenance costs for the equipment. The whole idea behind me wanting to use hydro power at night is to try and keep the battery bank always full to significantly extend its life, but when you add up the costs associated with building the hydro setup, it would probably be cheaper just to use a larger battery bank and replace it every 3-5 years, and forget the hydro power idea. Installing a ram pump gives greater fill to your holding tank. The expense for doing so is far far less. Brad Hughes wrote: The most likely way I can become energy independent is by combining both PV (solar) and hydro power. My thoughts are that a traditional battery system is preferable. Reduce usage at night, make use of opportunity loading the PV array, use a backup generator... these will reduce the size and the discharge on the battery system. A good battery should last 10 years. I don't know what your loads are, but a 15 KW inverter seems excessive. Pulling this kind of power from a battery is not practical or efficient. You're going to need a generator to supply that kind of power.